The turning point in my healing was when I found a support group, a safe place to tell my story to people that understood me, validated me, accepted me, and never judged me because only survivors can truly empathize with other survivors. Sympathy is caring about the suffering of others but sometimes that isn’t enough. Empathy is the ability to actually understand and experience the feelings or pain someone else is going through. And this is what was missing for me for so long. But this support group gave me so much power because I never felt alone once I found a community of my people, people that struggled the exact same way I did, that grew up with the same shame and guilt that cripples survivors later on in life, and gave me the hope I needed. Because if these other survivors, who had been through what I had been through, who hurt like I hurt, could heal and restore their lives, then so could I. Over and over again, I tell my clients, online followers, and anyone else who will listen, that healing is not done in isolation. This is the missing ingredient that so many survivors don’t figure out for decades. They keep to themselves and avoid people and try to heal themselves behind closed doors. But it just doesn’t work, my friends. We humans are social creatures, we need engagement, support, community, and relationships. And the trauma of our abuse wants to keep us isolated, out of fear, which only validates the trauma over and over, that we are alone, that no one cares or understands or loves us. The only way to break free is by resisting what trauma wants, by pushing past the safety of isolation, and opening your arms to what will really heal your heart, which is validation from other survivors, who will teach you to validate yourself. You have to reteach yourself how to use your voice, how to remove the burden of shame from your shoulders, how to care for yourself, and how to speak to yourself with loving truth. It’s like learning a new way of “being.” And you do that by watching others do the same, letting others guides you. I have learned that what helps survivors to heal is the ability to practice this new way of "being" with others just like them, who don't judge their trauma. To find a safe place to share your authentic self, a place where you feel like you belong, and where you are celebrated. This is why I decided to host this weekend retreat. 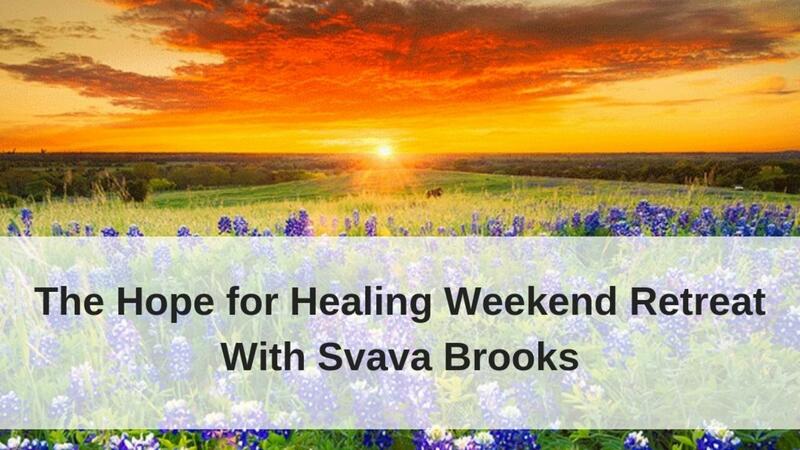 So today I am inviting you to join me and other survivors to celebrate our healing together, Friday April 26 to Sunday April 28, 2019 in Blanco, Texas! Over the weekend, you will learn about the studies done on the impact of trauma, learn new tools for daily self-care and healing, experience holistic healing methods, develop trust and relationships with other survivors, engage in activities to better understand yourself and your coping mechanisms, and most importantly, have fun and experience a deep connection with a community of survivors! Wherever you are on your healing journey, this retreat will give you the validation and support you need to know you are on the right path and that healing is possible and give you new tools to help you succeed in staying on the path to your true self. Click HERE to see all the information about the retreat, what to expect, accommodations, daily agenda, and more, and REGISTER TODAY! Ready to change? Are you stuck? Don’t worry. I can help! Just follow (this link) or call 619-889-6366 to reserve a one-hour coaching session with me ($125). Let me help you with the next step to heal your life. You deserve it! Reserve your spot NOW! Are you looking for more support? I have created a closed Facebook group for the readers of “Releasing Your Authentic Self." If you are ready to dig deep, and want to experience the daily support, encouragement from others like you. Follow this link to learn more: Releasing Your Authentic Self Support Group.